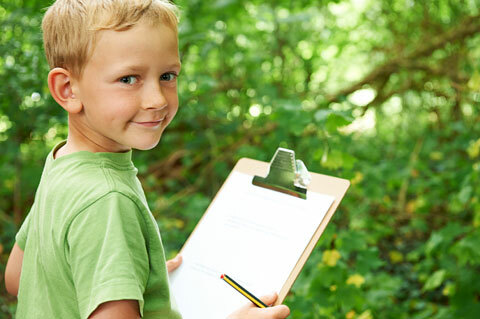 Teachers know the many ways children benefit from outdoor play. But when should the weather keep them indoors? Consider the health of the children, the severity of the weather, and the air quality. Young children are more vulnerable than adults to extreme heat, cold, and pollution. They sweat less and have less body mass. They may not know when they are overheated or in danger of frostbite. Some programs consult the Iowa Child Care Weather Watch. Summer is a great time to play outside, but keep an eye on the heat index. Teachers can check the heat index at the National Weather Service on hot, humid days. An index at or above 90 degrees is a significant risk. This may signal the need to keep children indoors. In any hot weather, active children need to be reminded to drink enough water. Clothing should be lightweight and light colored. The fabric should let sweat evaporate. There also should be shady places in the play area. Teachers should discuss with parents the sun protection their child needs. Children outside between 10 a.m. and 2 p.m. need the most sun protection. Many children will need sun-protective clothing, such as hats. Their sunscreen should have a protection value of SPF 15 or higher for both UVB rays and UVA rays. Very cold weather can pose dangers to young children. Consider the wind chill as well as the temperature. A 10 mph wind with a 30-degree temperature causes a significant wind chill factor. Teachers can check the wind chill with a local forecast or on the Internet. Dampness makes a child feel colder. Children should dress for very cold weather with layers of loose-fitting clothing along with a coat and warm socks. 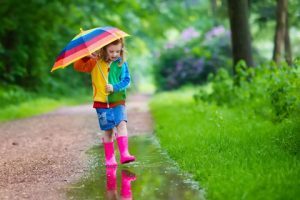 Rain or snow call for water repellent coats and boots. Hands should be covered with gloves or mittens. It is a good idea for teachers to keep extra mittens, socks, and boots on hand. Children can become chilled following an activity that causes them to sweat. Teachers should check on children frequently—at least every 15 minutes. Look for warm, normal skin color. Children shivering or uncomfortable need to be warmed. Hypothermia and frostbite are medical emergencies that can be prevented. Air pollution may be a concern in your location. Teachers should be aware of local problems with ozone level or air pollution. These are more common in urban areas. News reports may mention local levels. Teachers can check out the Air Quality Index on the Environmental Protection Agency’s AirNow Web site. Some children are more sensitive than others to temperature and air quality. Children with health issues, such as asthma, are often able to play outdoors safely. Teachers need a plan for them. Parents can develop this plan with the child’s health care providers and share the plan with the teacher. 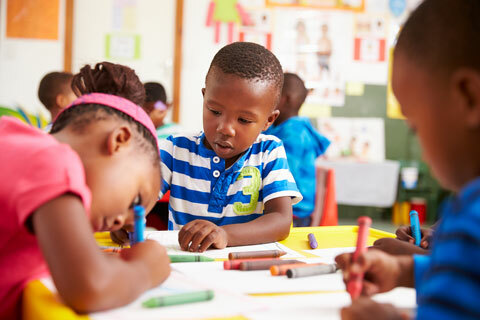 The Power of the Pen: Let Children Choose Writing Centers! 09/2013 Comments Off on The Power of the Pen: Let Children Choose Writing Centers! Fun at Home with Preschoolers: Let’s Measure! 11/2015 Comments Off on Fun at Home with Preschoolers: Let’s Measure!